Ten people have been been arrested during a major probe into suspected VAT and money laundering fraud linked to transport industry. The nine men and one woman were arrested by HM Revenue and Customs (HMRC) officers as part of a nationwide investigation into a suspected £4 million fraud. 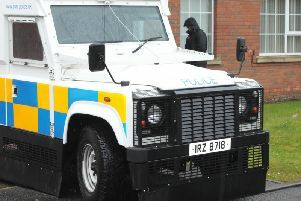 Three men, one aged 35 from Co Down and two others in Co Tryone aged 25 and 31 were arrested. The probe included searches yesterday in Counties Tyrone and Down as well as eight addresses across Cambridgeshire, Surrey, Essex and Yorkshire. The PSNI, Cambridgeshire Police and Surrey Police officers assisted in the operation. Stuart Taylor, Assistant Director, Criminal Investigation, HMRC, said: “This action sends a firm message to anyone involved in or considering fraud against HMRC. We treat this crime very seriously and will not hesitate to investigate those suspected of stealing money from vital public services. The ten people were questioned by HMRC and have been released on bail. Computers, mobile phones and paperwork, as well as cash, were seized as part of the operation and investigations are ongoing. Two men, aged 34 and 57, and a woman, aged 41, were arrested at three addresses in Cambridge. A man, aged 52, was arrested at an address in the Borough of Runnymede, Surrey. A man, aged 57, was arrested at an address in the Basildon area of Essex. A man, aged 50, was arrested in Bradford, West Yorkshire. A man, aged 40, was arrested in Hull, East Riding of Yorkshire. Those arrested have been bailed until November 2015.